The Wine Diaper on Woot! We're getting a major feature this weekend on Woot.com! 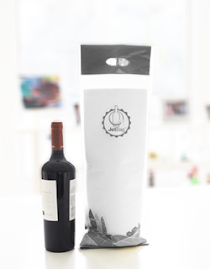 The Wine Diaper will be sold for a super low price for 3 days only: Friday, April 23 - Sunday, April 25 on wine.woot.com. Come visit, and leave your comments. You'll get a version 1.0 Wine Diaper for $2.00 each.